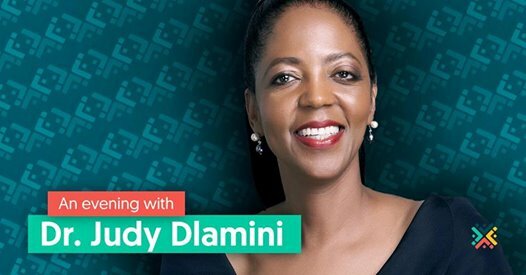 We’re extremely proud to be hosting another illustrious guest this month: Dr. Judy Dlamini, Chancellor of Wits University, entrepreneur, author, and philanthropist with a Phd in Business Leadership. And did we mention at one point she was also a medical doctor? As a business leader, Dr. Dlamini has served as Chair of Aspen Pharmacare, and has held board seats at Anglo American plc, Discovery Holdings Ltd, and Woolworths Holdings Ltd. She is also involved in a wide range of initiatives including the SA SME Fund, an initiative between government and the private sector to create jobs and grow an inclusive economy. Her first book ‘Equal But Different’ was the fruit of her PhD thesis and was a bestseller for several weeks. Among other things, we will be discussing her second book, ‘The Other Story’ which celebrates African excellence. In our build up to Africa day in May and lining up with our Africa + Tech theme, we couldn’t find a better guest to share stories from around the country and continent and inspire us all with her own pursuit of excellence across so many arenas. As usual, there are signed copies of books for LifeCheq clients who bring new guests to LifeCheq. She’ll be coming to both Johannesburg and Cape Town. You definitely do not want to miss this one!